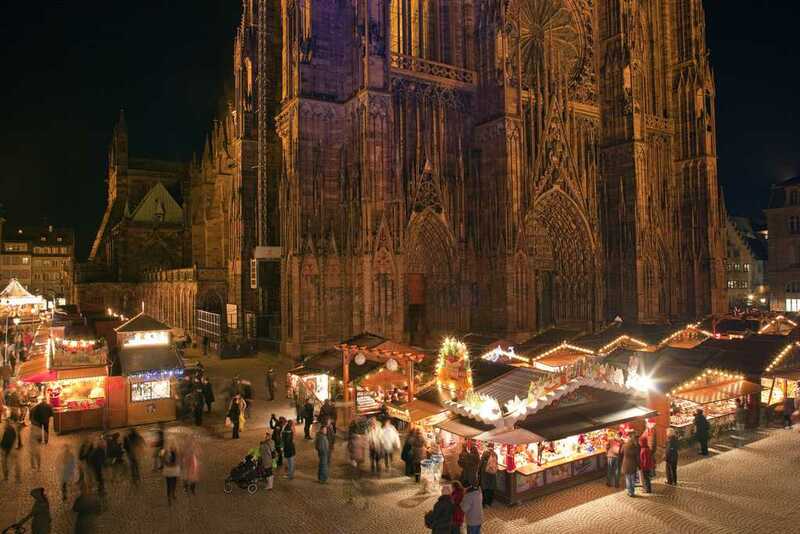 December in Strasbourg means, above all, the immense Christmas market.It was in fact in 1570, under the influence of the Strasbourg Protestants battling against the "extravagant" Catholic traditions, which were so attached to the names of saints, that the Christkindelsmärik (market of the Child Jesus) replaced the market of Saint Nicholas. 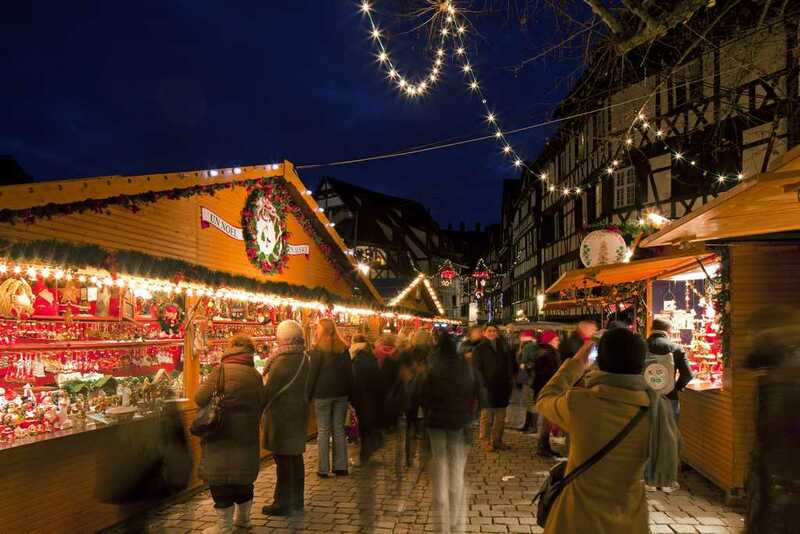 No doubt, it is the oldest Christmas market in France ! 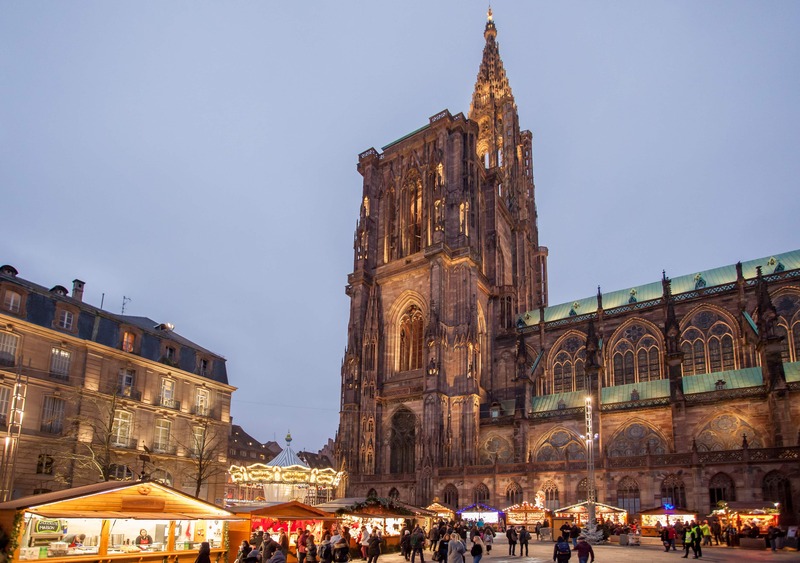 Thus the atmosphere which reigns in Strasbourg is unique. It is especially in the late afternoon, just as night is falling, that the magic sets in, as if the city, suddenly conscious of the disappearance of the forces of the sun, compensates for the absence of the heat and light with new ardour : shop windows gleam, decorations twinkle on the facades, the smells of spices and cinnamon bring back childhood memories and Christmas carols drift out from the depths of churches.